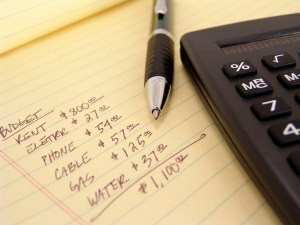 If you're struggling to make ends meet, these tips on budgeting your paycheck can help you out a lot. With a few adjustments and a new way of looking at things, you can regain control of your budget. Most of your bills are due once a month, but your income may come in every week, every two weeks, or every other week. If you are a two-household income, managing alternate paycheck schedules may even become more complicated. Bottom line, if you keep budgeting on a monthly basis instead budgeting based on the timing of your paycheck, you will also have more month left than money. Because some months have four weeks and others have five, budgeting on a monthly time schedule becomes ineffective. When I started adjusting my budget according to when I received my paycheck, life became a lot easier. By making this subtle shift, it felt like I was taking control back from the creditors. I still had to pay them in a timely fashion, but it was based on when I had the money available to make the payments. It took about three months before I could see the real momentum of my budget, but my progress started having a tangible and positive affect. Finally getting this debt off my shoulders appeared possible after I consistently split up my payments based on the timing of my income. Figure out how much money you need to set aside each pay period for bills based on the timing of your income. Begin thinking in terms of when you get paid not when your creditors want you to pay them. Design a sensible plan for how your paycheck will be allocated each pay period. Oftentimes, creditors are billing you at the same time per month making it impossible to make ends meet. Call these creditors and/or utility companies to request a different billing cycle that will better suit your income stream. As you pay off one balance, adjust this again and again until you find a rhythm that is right for you. Another key factor is to stop overspending. To make substantial progress with your budget stop spending more than you earn. This may seem obvious, but implementing this concept into practice isn’t so easy. As an example, if you intend on spending $60 at the grocery store, then don’t spend $75. If you allocate $25 for gasoline this week, don’t fill up the gas tank. 1. Consider a part-time job this holiday season. The 10-20 hours you work between now and the end of the year might help you pay off a credit card balance so that you can get ahead of the curve. 2. Ask for a raise at your current job. If you believe that you are underpaid, do some research to get a rough estimate of what people are being paid in your position (based on geographical location and education level) and go to your boss with the results. 3. Reduce your commuting costs. If the cost of your daily commute is continuing to rise while your income stays the same, it might be time to look for a way to reduce the costs. This could mean moving closer to your job or finding a job closer to home. 4. Get an employee referral bonus. Many employers now offer an incentive to employees if they refer a prospective employee who gets hired. In some cases this could be $1000 or more! If you help your employer find the skilled workers they need, this could benefit you without your having to work very hard. Check with your company’s human resource department to see if they offer such a program. A commitment to working a budget that will alleviate the fear, frustration, and worry will be worth the freedom that comes along with it. The first step to making this journey is to design a sensible plan and track exactly what you spend each day. Kimberly A. Griffiths has personally experienced the never-ending cycle of debt and discovered how to break free from its chains. She now shares her insights with others in her book "One Paycheck At a Time" so they can become debt-free themselves.